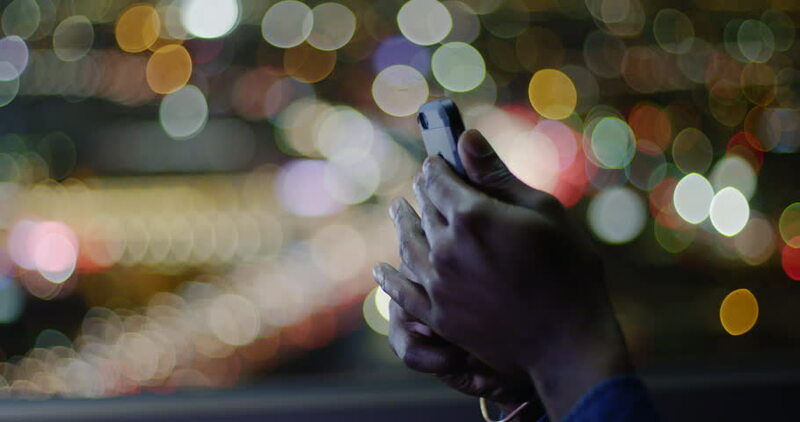 Dark skinned African American man's hands texting on phone in front of city lights and freeway traffic seen from an apartment window high above Downtown Los Angeles at night. Focus on man's hands. hd00:12Christmas holiday toys with shiny garland on fir tree and black background.